There have been few articles on Manali – Leh Highway published earlier on my blog. Now to make complete sense of all of them I would like to put them all at one location to transform it into a Manali – Leh Highway Travel Guide along with the list of places to visit on Manali Leh Highway. Download your FREE high-resolution version pdf copy of this Manali to Leh infographic guide. If, you liked it and found it helpful, please feel free to share it with your family and friends to help them too. 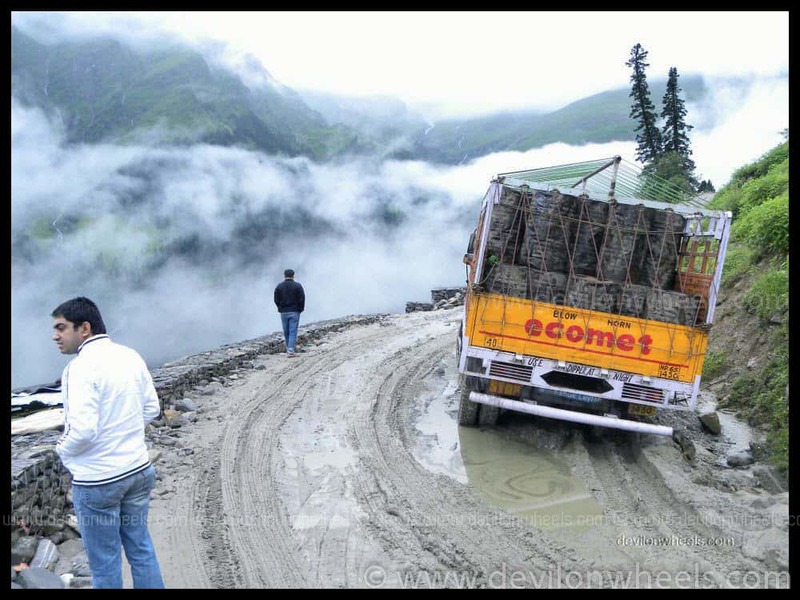 Who maintains the Manali to Leh road? Are you making a self-drive trip? There is no doubt that Manali – Leh Highway is easily the most adventurous as well as the most beautiful among all the Highways in India. Every adventure lover has a dream to travel on this 474 KM long, Manali – Leh road trip at least once in his or her lifetime. I strongly feel that everyone who loves to travel, be it adventure lover or a nature lover or any other form, must and must travel Manali – Leh Highway at least once in his/her lifetime. Personally, I am lucky enough to have traveled through the experience of this lifetime journey on Manali Leh road trip numerous times in last 10 years, as of 2018. And, wish I will do it many more times in future too. 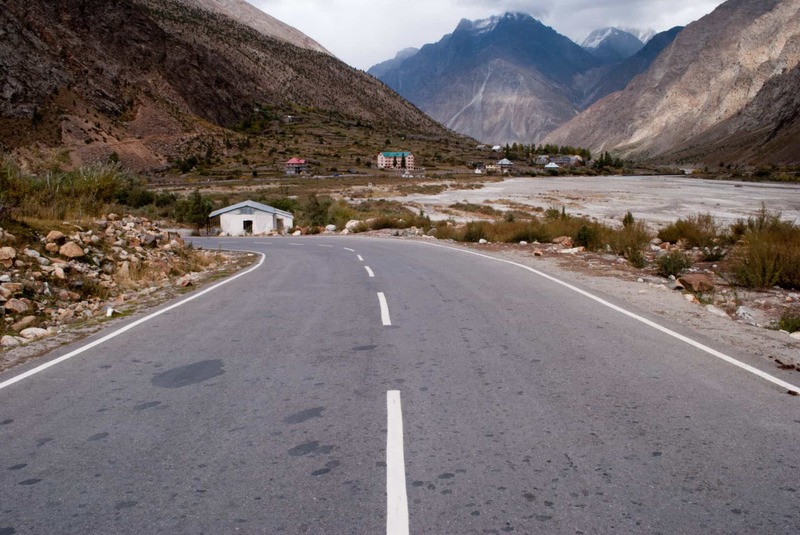 The highway is desolate at many places, so it is better to plan the trip and have as much information as possible before making a trip to Ladakh. I hope this detailed guide on Manali Leh road trip helps all my fellow travelers to find complete information or all they want to know about Manali – Leh Highway at a single place only. In this article, I have also merged the important places to visit on Manali Leh Highway road trip. The Manali – Leh Highway makes you experience the raw mother nature present on earth in almost its every form. Technically, BRO takes care of this Highway and they have further divided its responsibility between Project Deepak and Project Himank. 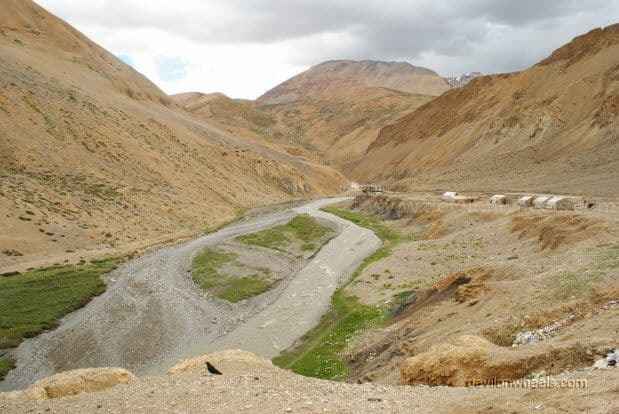 Project Deepak is responsible for maintaining the section from Manali to Sarchu (222 KM) in Himachal Pradesh region while Project Himank is responsible for Sarchu to Leh (252.4 KMs) section which falls in Ladakh district of Jammu and Kashmir region. In order to help you plan a journey on Manali – Leh Highway, you can refer the below link which will explain you complete details about how you can plan your journey on Manali – Leh Highway. Every year I also publish an article to post updates on road conditions and Manali Leh Highway Status. You should be able to hook to that thread to get the latest updates on road closure, road opening, water crossings, etc.. There are many options of stay on Manali Leh Highway. Its always better to know or have the list of all accommodation places on Manali – Leh Highway before you travel on it because in such unpredictable terrain you can never predict what can come to your rescue. So, having as many details as possible about the place is always favorable when making a Manali Leh road trip. Since you would be traveling above 14000 feet for about 300+ KMs on Manali – Leh Highway, its really IMPORTANT for you to understand about acclimatization, its importance, and AMS or mountain sickness. Many instances people have been found in doubt whether to take the babies or kids with them to Leh – Ladakh or on Manali – Leh Highway. As for clothing to carry on Manali Leh road trip, it is always best to dress up in layers with Inner Thermals both lower and upper always ON. It might irritate in bright sunshine in lower hills but as the altitude increase then it will certainly help in the shades or evenings or mornings or if the weather turns up dark. 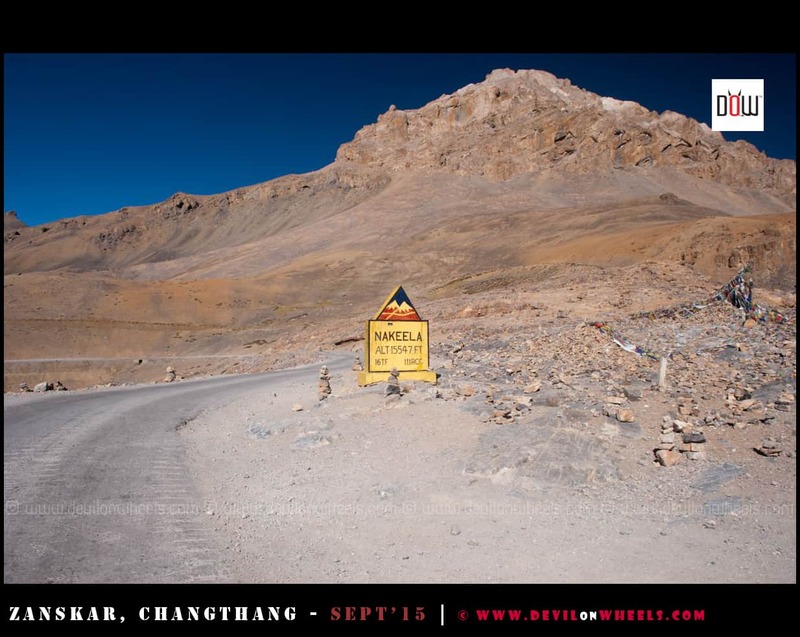 You need to carry heavy woolens when you travel to Manali – Leh Highway. It is really IMPORTANT that you carry eateries like dry fruits (must have as a backup in case you get stuck), chocolates, some non-perishable food and ample of water to keep each one of you hydrated. If you are traveling from Manali to Leh by car then you must carry a few things on this adventure trip to Ladakh. Along with the list of things I mentioned in the above link, if you are self-driving on Manali Leh Highway, then you must take the Basic toolkit, screwdriver set, small hammer, puncture repair kit, iron rod, two or three “2 liter” empty bottles of Pepsi / Coke / Limca etc to carry extra petrol or diesel (jerry cans will leak, cold drink bottles do not leak), funnel, towing rope, spare tube (must for bikes), Elfy or Fevi quick (2-3 sachets), jump start cables/wires, M-seal to prevent leakage etc. These are among the things which I carried along on my trip to Ladakh. You can also refer the top 40 list of things to carry on Manali Leh self drive trip. Even if you are making a trip from Manali to Leh on bike, these list of things to carry will help you on your bike trip as well. 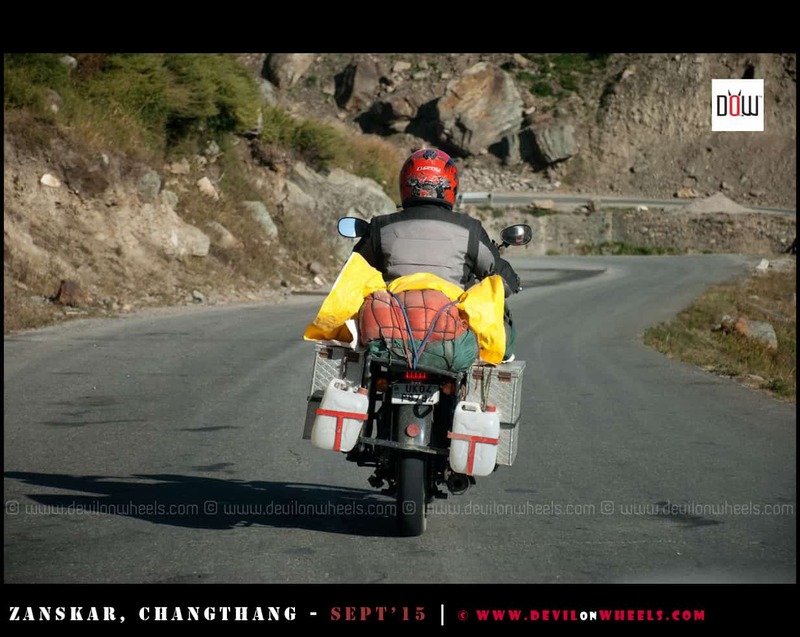 Also, do not forget to get your vehicle (car/bike) serviced about 2-3 weeks before the start of the Ladakh journey. This will ensure that you have proper time in advance to test your serviced vehicle and get fixed any hitches that may have been introduced in that service. Over a span of 474 KM, on the Manali – Leh Highway, one goes through varied forms of nature ranging from beautiful lush green valley(s) to rocky barren multi-colored mountains to high walls of snow to violent river/water crossings (nallas) to wide flat lands to abrupt landslides to head swaying hairpin bends to butter smooth roads to many non-existent and washed away roads to strong cold winds blowing you away and to what not :lol:, all this raising the fun of this ultimate journey to greater heights. In this travel guide of Manali Leh Highway, I am going to share an informatory dissection of all major places that come on the route from Manali to Leh along with the details of food, fuel, accommodation or stay options, amenities etc.. I hope this information helps you get an idea of what is offered on a journey of Manali – Leh Highway bearing in mind the stoppages of your interest including overnight stays, food, beverages, amenities, photos etc. If you are not interested in much of the text then you may also check the summary of the places in tabular format at the end of the article directly. 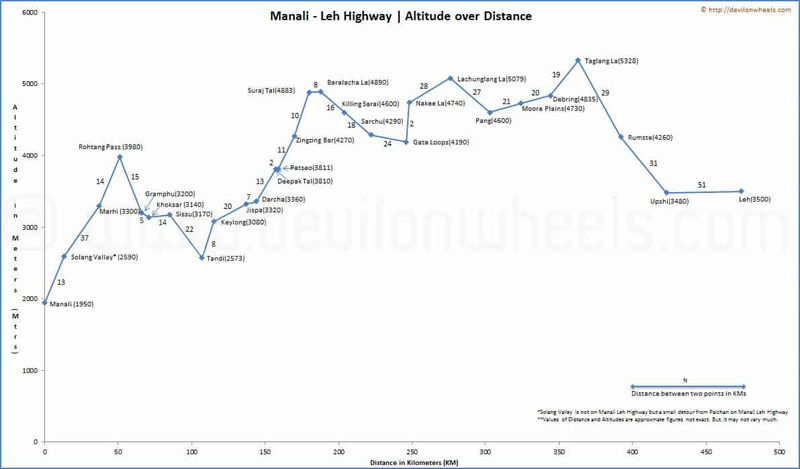 I have created this graph of Manali to Leh distance by road along with the changes in altitude as you travel on Manali Leh Highway. Manali, about 570 KM from Delhi, is the place from where this lifetime journey begins on Manali Leh Highway. Manali, the valley of gods is lush green at the time when you will be doing your Ladakh journey and you will definitely enjoy the weather up in Manali. Although, in May – June due to the holiday rush, Manali is not a penny less than the chaotic trade fair and I am sure you will not want to be at this place in such a tourist rush. Having said that, you can do a lot in Manali town and for comprehensive details including how to reach Manali from Delhi, I request you to read my Manali Travel Guide. Should I sleep at Manali or Solang Valley? One point worth highlighting is that if you are traveling Leh – Ladakh from Manali side then you should avoid staying overnight in Manali town rather stay overnight at Solang Valley, 14 KM away. 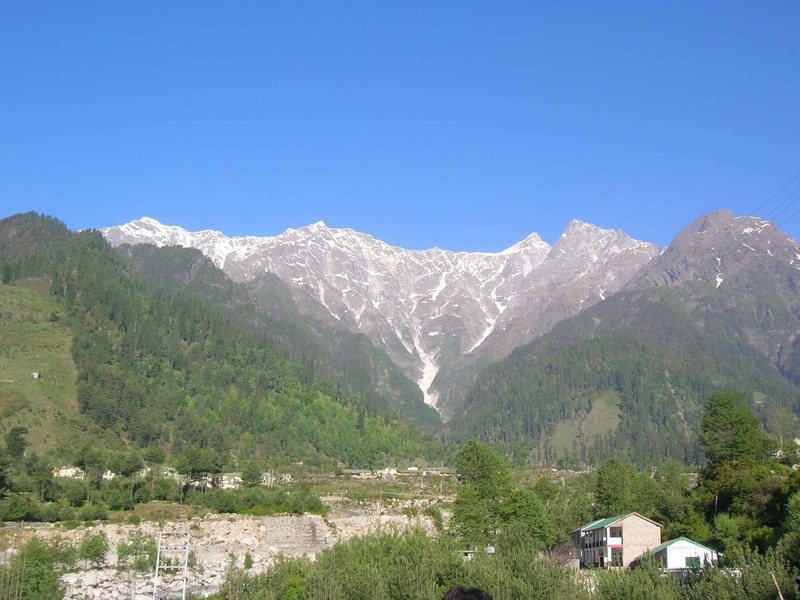 Manali is at a lower altitude than Solang Valley and it does not help in acclimatization. Solang Valley does help acclimatize your body to some extent which may help in minimizing the troubles of mountain sickness as you move ahead towards Leh Ladakh in the next few days of your Ladakh road trip. Is there any drawback to stay at Solang Valley? The only drawback sleeping at Solang Valley on your Ladakh road trip is that you won’t find as many options for a stay as you can find in Manali. The prices of the hotels in Solang Valley are likely to be on the higher side as compared to the varied economic hotel options available in Manali town. Also, the variety of cuisines will be much less as compared to what you get in Manali and mostly you will need to have your food in the hotel only. But, the advantages of getting acclimatized and peace around will definitely outweigh these minor hitches, unless you really want a very cheap hotel. If you really miss different cuisines and lively crowded place, you can surely spend your day in Manali enjoying the other flavors of the valley and come back to the hotel at Solang Valley for night stay. Is Solang Valley on Manali Leh Highway? Technically, Solang Valley is not on Manali – Leh Highway rather one needs to take a left diversion from Palchan and travel further 6 KM to reach Solang Valley. If you have hired a taxi from Manali to Leh, you need to ask the driver upfront to pick you from Solang Valley hotel. If you have opted for a shared taxi / public bus, then you yourself need to reach Palchan, the diversion point on Manali – Leh Highway to get into one of them en-route but that also must have been booked in advance from Manali. Else, you will have to travel to Manali town in the morning to get the shared taxi. Similarly, if you are traveling by Manali to Leh bus service, then as well, either make prior arrangements with the conductor the previous night or travel to Manali in the morning to catch the bus. Running through few small villages (Palchan, Kothi) of this beautiful lush green valley you reach Gulaba, 20 KM from Manali. Gulaba is famous as one of the lower winter snow point when the road to Rohtang Pass gets closed. There are only a few Dhabhas on Gulaba and no options of stay. After Gulaba, you reach Marhi which is the highest snow point in winters when the road to Rohtang Pass is closed. There are few Dhabhas on Marhi by HPTDC but there are no stay options. Marhi is common stoppage point for people doing cycling on Manali Leh Highway. Cyclists put up their own camps to spend the night at Marhi and get acclimatized for the ride ahead. Few KMs ahead of Marhi you reach Rani Nalla which is a glacier point. This place is famous for its huge snow walls, more than 20 feet high. You can find snow here almost 9 out 12 months. The feeling of going between these huge walls of snow is impeccable, especially in early season. Of course, if you do not leave early in the day then surely the traffic jam may frustrate you in the early season due to the narrow passage and kill your time. You need to leave as early as possible like 5 AM from Manali to avoid the traffic jam on Manali – Rohtang Pass road in June. It is perhaps the last major point on the southern portal of Rohtang Pass. No stay or food options are available at Rani Nalla. 51 KMs away from Manali town, Rohtang Pass connects the tribal valleys of Lahaul and Spiti to Kullu Valley. This is the hottest Himalayan tourist spot in Northern India and people flood this place in the month of May and June. Though there has been some respite since the introduction of Rohtang Pass permit. Do expect heavy tourist rush and traffic jam, if you are late in leaving from Manali in the early season. Rohtang Pass remains closed for more than six months in the winter months due to heavy snowfall and thus closing the Manali Leh Highway. Many people feel the altitude factor after reaching Rohtang Pass with headaches and feeling to puke. So, it better to keep yourself hydrated on the way. There is no place to stay or eat at Rohtang Pass. Rohtang Pass is the first of the five major mountain passes in this travel guide of Manali Leh Highway. After you descend towards the northern portal of Rohtang Pass, you reach a place called Gramphu. 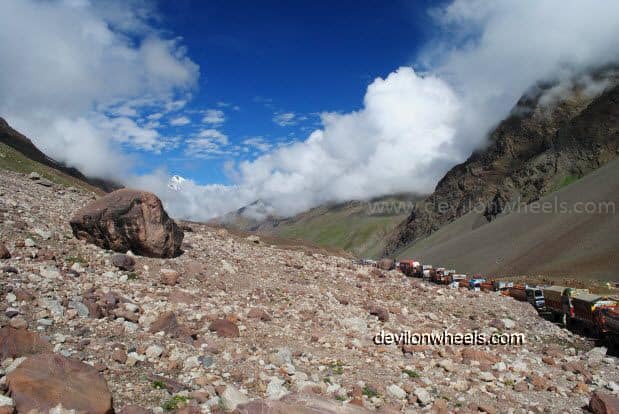 At Gramphu, there is a diversion towards the right which will lead you to Spiti Valley via Kunzum Pass. If you want to visit Chandratal then you need to take the diversion towards Spiti and once you reach Batal, go straight towards Chandratal. There are no stay options at Gramphu but you will find a couple of tea shacks / dhabhas serving tea. If you are traveling from Kaza to Manali, it will be the first point where you will get mobile signals. Just a few KM after Gramphu, you will reach Khoksar which is the first settlement in the Lahaul Valley of Himachal Pradesh. This place has several Dhabhas where you can enjoy the food, a clean washroom or toilet to freshen up and a PWD rest house for night stay. In order to stay at PWD rest house, generally, you will need the advance bookings. There are few houses as well in this small village. The Chandra river flows through this place and the surrounding views are just amazing from the village. It is a major eating point on Manali Leh Highway especially when you are traveling from Manali to Jispa for the first night stop. Sissu or Khagling is a small town situated at the right bank of Chandra River in the Lahaul valley of Himachal Pradesh. There is a waterfall on the opposite side of town which looks spectacular especially near monsoon months. Sissu has a PWD Rest House but in case you want to stay then you should book that in advance else you may not find the accommodation. My personal experience had not been good with getting any accommodation at any of the HP PWD Rest Houses. Apart from PWD rest houses, there are couple of more places to stay at Sissu including Hotel Triveni. There are a few dhabhas or food stalls where you can find food, tea/coffee, and drinking water as well. You may also get some basic healthcare facilities at the local Primary Health Care center at Sissu town. There is also a helipad that is used for the chopper services and mainly utilized by locales in the winter months when the roads are closed due to heavy snow at Rohtang Pass connecting Kullu – Manali valley and Kunzum Pass connecting Spiti Valley. The northern portal of Rohtang Pass tunnel will be opening near Sissu, very soon (as of 2018). Next on the list of places to visit on Manali Leh Highway is the most important place called Tandi. At Tandi, you will find the only petrol pump on Manali – Leh Highway after Manali and up to Karu or Leh. The next petrol pump is about 365 KMs away towards Leh from Tandi. Hence, it is extremely important that you do not miss this petrol pump to top up the fuel. Apart from being famous for this only petrol pump on Manali – Leh Highway, Tandi offers a view of the confluence of Chandra River and Bhaga River. The merged river is called Chandrabhaga River and when it enter Jammu and Kashmir, it is further called Chenab river. The Chandra River originates from Chandratal / Samudri Tapu, Spiti Valley and Bhaga River originate from Suraj Tal or Surya Tal, Lahaul Valley. So, if you have time on hand then do click some pictures of the confluence too. Next comes Keylong, which is the biggest town located on Manali – Leh Highway and is the district/administrative headquarter of Lahaul Valley and Spiti Valley districts of Himachal Pradesh. All the major GOVT. offices of the district are present in Keylong town only. The Keylong town is completely cut off from the outside world in the winter months of November to April, due to heavy snow present at Rohtang Pass. The opening of Rohtang Pass tunnel will provide an year-round connectivity to Keylong and rest of the Lahaul Valley. Although the road from Manali to Leh will remain closed at other mountain passes in winter months even after Rohtang Pass tunnel is operational. Also, people coming to explore Lahaul Valley including Udaipur, Triloknath Temple etc make Keylong as the base town. Most people while traveling on Manali – Leh Highway including the HRTC and HPTDC bus services halts for a night stop at Keylong town. There are many options for accommodation (small hotels and guest houses) available at Keylong including the famous HPTDC Hotel Chandrabhaga, Circuit House, PWD Rest House, Tourist Bungalow etc. There are few small hotels or guest houses in Keylong town which are right on the Manali – Leh Highway and can be opted for a stay too without going down to Keylong village. There are phone services at Keylong and mobile phone data services work great too at Keylong. You can make calls at home from Keylong as then mostly there will not be any phone signals once you cross Darcha and reach Upshi near Leh on Manali Leh Highway. The electricity power connections are also available at Keylong, which can be utilized to charge mobile or camera batteries. Medical facilities are also available at the local hospital and there is also one SBI ATM in Keylong town. So, if you have by chance missed the ATM at Manali to fetch the cash then do not miss the ATM at Keylong. However, at first place, I will say that DO NOT miss to carry cash from Manali ATM. Still, if you have missed it then try your luck at the Keylong ATM which is the only ATM available on Manali Leh Highway. Jispa is a small village that is located on the banks of Bhaga River. While coming from Manali side, Jispa is my most preferred place for a night stay and to break the journey on Manali Leh Highway in two days. The accommodation options present in Jispa are limited as compared to Keylong but if you book them in advance I bet the vistas are worth spending time and money. Jispa feels much closer to nature than Keylong. There is a Hotel Ibex with a very good restaurant serving delicious food. There are a couple of other guest houses and some camping tents including the Swiss tents which are available as stay options at Jispa. You can get the food as well as beverages here in Jispa. The village also has a small monastery, a small museum along with numerous trails into the woods which you can explore or how about spending some time on the banks of Bhaga river, for me it’s just amazing. There is a helipad as well in Jispa. and it does have telephone connection which you may use to call at home or inform someone close because beyond Jispa mobile signals (might have gone already) as well as fixed phones will be hard to find till you cross Upshi or reach Leh on this adventurous Manali to Leh road trip. 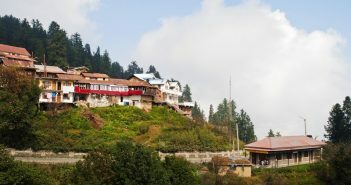 Darcha is a small village that is considered as the last northernmost civilized place in Himachal Pradesh. Primarily, everyone traveling on Manali Leh Highway needs to stop at Darcha police checkpoint and has to register their names with vehicle number in the passerby records. This acts as a record that a person has passed Darcha on his journey on Manali Leh Highway which is useful in case of rescue like operations (or other purposes as well). Foreigners need to get their passports verified at Darcha police checkpoint. 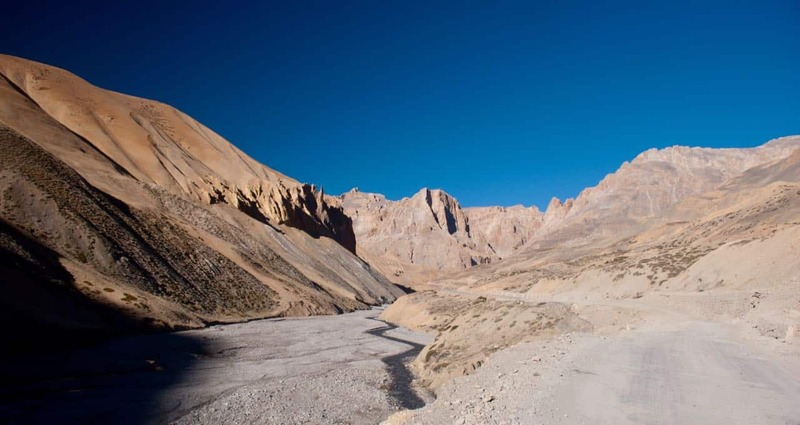 Darcha is also the endpoint of a famous trek which starts from Padum, Zanskar Valley in Ladakh region and of course, you can start the same trek from here as well :)… The new road from Darcha to Padum via Shingo La pass has been completed by BRO in 2018. So, if you are planning a trip to Zanskar, then you can travel to Padum from Darcha over Shingo La pass through this route. Food / Drinking Water / Beverages (tea/coffee) in dhabhas or roadside stalls is available at Darcha on Manali Leh Highway. This place also have some tented accommodations and a few people stay overnight at Darcha as well. Darcha does have telephone and power connections, in case you need to call home or charge your phone or camera for one last time before reaching Leh then you may try your luck here as well. I didn’t see any phone here but people do say that the village has a phone connection. Beyond Darcha village, the vegetation will start to reduce and the mountains will start to change their colors into dark brown watercolor paintings that we all used to paint in childhood. The decrease in vegetation also means difficulty in pumping the oxygen and increasing altitude will make it even tougher. This is another reason why you need your body to be better acclimatized and hydrated always on this tough journey on Manali Leh road. Do not forget to intake a good amount of water just to keep your minerals and oxygen levels correct in the body. Pro Tip: It will be best if you can carry ORS diluted water or Glucon-D water with you all the time and keep sipping it after every half an hour or so to keep yourself adequately hydrated on Manali Leh Highway. Next on the list of sightseeing places on Manali Leh Highway is Deepak Tal. 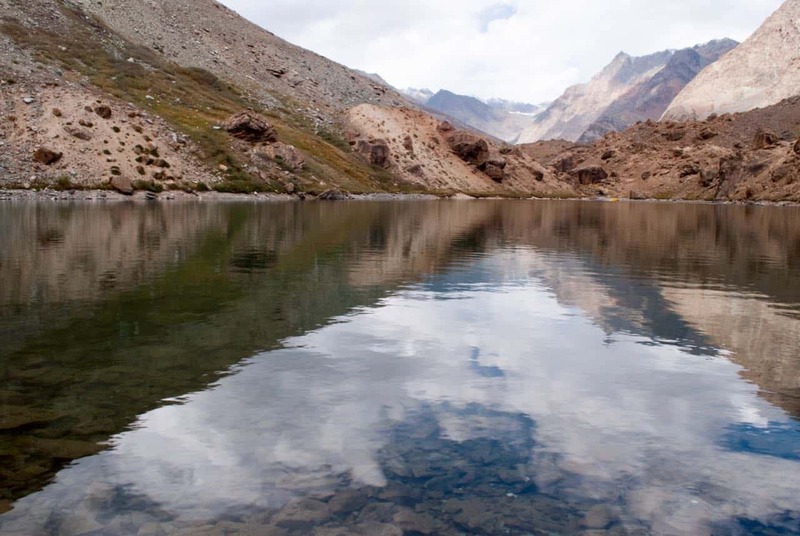 It is a small man-made lake near Patseo having its own charm and is one of the two lakes that you can visit when traveling to Ladakh via Manali. You can enjoy a cup of tea or your breakfast at the Dhaba just aside Deepak Tal. After passing through Deepak Tal you will reach Patseo just a couple of KMs ahead. Patseo is a small place where only a few army camps are present and sometimes they divert the road in some weird zigzag manner. Once you reach Patseo the feeling of getting to the high altitude starts taking in effect. Zingzing Bar is a tiny place with 2-3 tented dhabhas that offers stay options in them as dormitory beds. Of course, these dhabhas does offer food and beverages too. If you leave early from Keylong/Jispa and you prefer to have your breakfast a bit late then you can mark Zing zing Bar dhabhas for the breakfast as well. This is where the climb to the mighty Baralacha La pass starts. Just after Zingzing bar, there was used to be a nalla (water crossing) created by the melting snow of Baralacha range. People mostly used to get stuck in it when traveling later in the day. However, BRO has built a permanent bridge on top of it and the adventure of the most ferocious water crossings on Manali Leh Highway is gone. 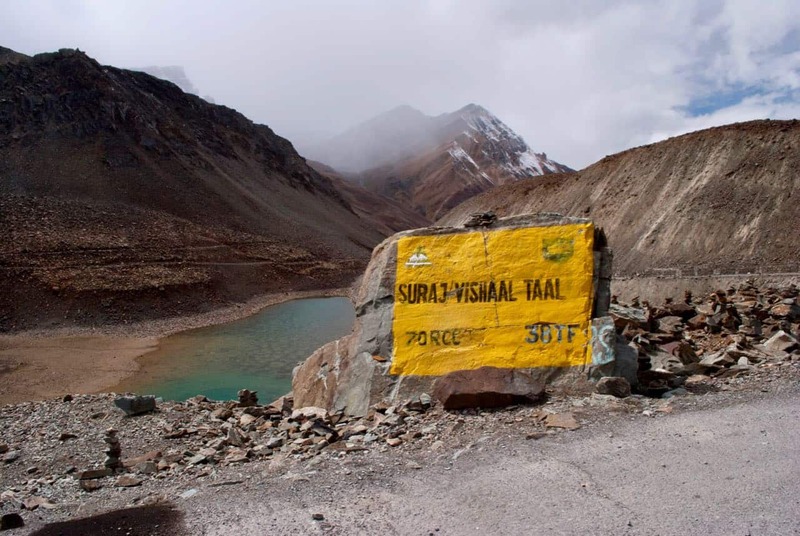 Suraj Tal or Surya Tal is the second highest lake in India and 21st highest lake in the world. Amidst in the high hills of Baralacha La range and just below the Baralacha La pass (8 KMs before Baralacha La pass), you will find this beautiful crystal clear aqua colored sacred body of water. Suraj Tal is the source of Bhaga river and remains totally frozen and cut off in the months of winter. Early in the season i.e. June, you will find this lake to be frozen as well. As we get more into the summers, having snow-covered peaks around and emitting its aqua green color at the foothills, the Suraj Tal lake looks simply breathtaking. 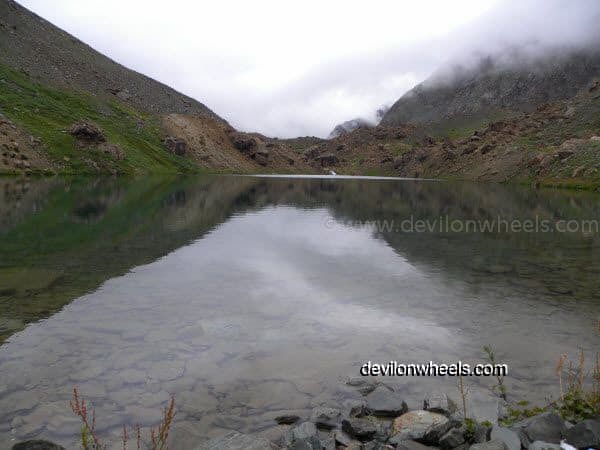 Do not miss to click a few pictures of this amazing high altitude lake in India on Manali Leh Highway. Later in the season time when the snow has melted, the Surajtal may not have much water in it and will not look as enchanting as it looks in early season. Baralacha La or Baralacha Pass (La meaning Pass) is second of the five high mountain passes that come on the Manali to Leh Highway. Baralacha La connects Lahaul district of Himachal Pradesh to Ladakh district of Jammu and Kashmir. At the North-West base of Baralacha La range, Bhaga river originates from Suraj or Surya Tal and at South East base, Chandra river originates from Chandratal. Yunam river flows on the Sarchu (Ladakh) side of Baralacha La. 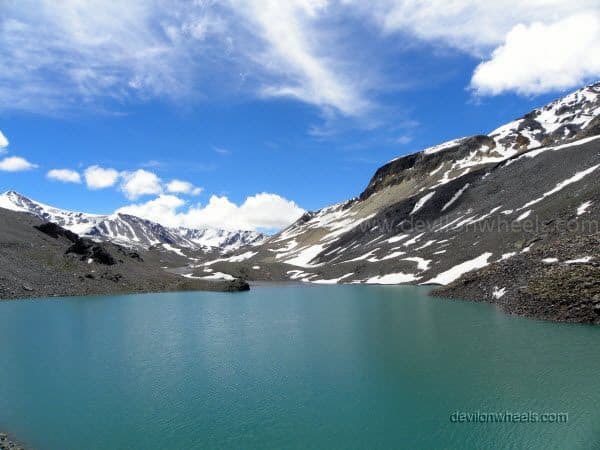 There is another famous trekking route which goes to Chandratal lake, either starting from or ending at Baralacha La. You will not find any food or water or accommodation at this pass. After Rohtang Pass, Baralacha Pass is the second major hurdle to cross or open. At least in the early season of this journey on Manali Leh Highway, you will certainly witness one or two vehicles either stuck aside or stuck in the middle which results in the traffic jams on this road. The ice or snow melting from the slopes, battered by moving traffic either creates deep slush or deep water crossings by washing away the roads. This makes the journey more adventurous and full of challenges on this mighty mountain pass 🙂 … Once you get into the late season like September – October, the Baralacha La pass becomes mostly devoid of snow. After passing through a small deserted place named Killing Sarai or Sarchu Sarai, you will reach Bharatpur which has a few dhabhas to have some food as well as a series of tented accommodation running alongside the Manali – Leh Highway. Some people do stay overnight at these camps as well but being in much higher altitude than Sarchu, it is not recommended to sleep at Bharatpur as well. 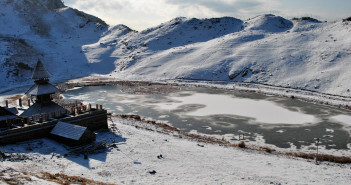 The accommodation or camps at Bharatpur are cheaper as compared to the stay options at Sarchu. You can have food/tea/coffee here. Once you cross Bharatpur, after a few KMs you will come across a road straight as an arrow leading towards Sarchu. Your instincts will compel you to rip apart and just zip pass through it especially after you have been held up by the road conditions since morning. I will STRONGLY suggest to hold on to those instincts of pushing the paddle of your as the road is straight, somewhat metalled but it does have lots of bumps in between may be due to the loose soil beneath or due to holes dug by Himalayan marmots. You do not want to get stuck in the middle of nowhere when the broken car at Sarchu. All I want to say is that while speeding through that road to Sarchu on Manali Leh Highway, do not be too complacent else be ready for some super bumps on the way. When self-driving to Ladakh, always make sure you are not carried away by the emotions and drive with caution & care. 222 KM away from Manali, Sarchu is famous for the night halt because it offers some good tented accommodations on Manali – Leh Highway. At Sarchu, the state changes from Himachal Pradesh to Jammu and Kashmir. Also, the Deepak Project of BRO ends and Himank Project starts from Sarchu. At Sarchu, there is a second police checkpoint where you need to register your name again on this epic journey on Manali Leh Highway. The entry acts as a record of your arrival up to Sarchu. Sarchu is almost a middle point of the journey on Manali – Leh Highway offering some good accommodation options including the Swiss tents with attached toilets. Hence, many people do consider Sarchu for a night halt. 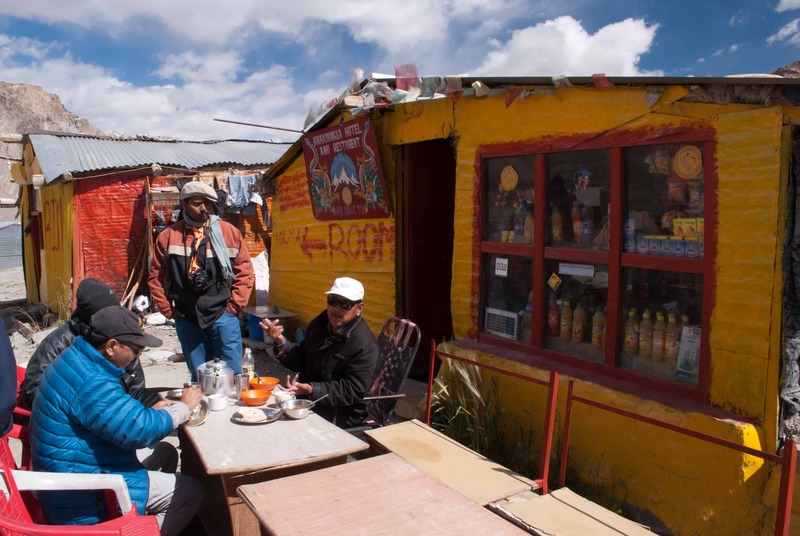 People already having the night halt at Keylong or Jispa, usually stops for lunch at Sarchu. It does have a few dhabhas which offer food and beverages as well. At Sarchu, you may get some fuel or petrol in black in dhabhas in case of any emergency. Sarchu is at very high altitude and many people staying overnight at this rough place suffer from mountain sickness including sleepless night, severe headaches or vomiting. No wonder many veterans call Sarchu a Vomit Hilton. If you are not properly acclimatized you will surely be one of them, suffering the pinch or punches especially at night :)… While traveling from Manali side, the body is not properly acclimatized and in case you have not had a night stay at Keylong or Jispa, the body will surely suffer to adapt at such high altitude of Sarchu at night. Hence, even though Sarchu offers some good amount of stay options (tented) but it’s always better to avoid a stay at Sarchu over Jispa or Keylong in the same order of preference. However, if you are coming from Leh or Tso Moriri lake after spending a few nights at higher altitudes in Ladakh then your body is acclimatized already. So, in that case, you can opt to stay at Sarchu to break the journey on Manali Leh Highway evenly. After 24 KMs from Sarchu, a series of 21 hairpin bends or loops about 7 KMs long, just before Nakee La Pass, will elevate you from an altitude of 4190 Mtrs to 4630 Mtrs. These loops are famously called Gata Loops. No food, no fuel, and no accommodation options are available here. Please note that there goes a story of a ghost of the Gata loops, please don’t pollute the environment in the name of the ghosts or superstitions and do not throw plastic bottles in the offering to them. Even if you are superstitious, just offer the water and keep the bottle with yourself. Next place on the list in this Manali Leh travel guide is the third of the five passes that comes on the Manali – Leh Highway, Nakee La Pass. You will not find any soul, food, accommodation or fuel or even trees here 🙂 … The place is totally deserted. There are few short cuts around Nakee La of dirt roads, I will strongly advice not to take any of the short cuts because I have seen many car loosing control especially when getting down and loosing tractions or burning brakes. 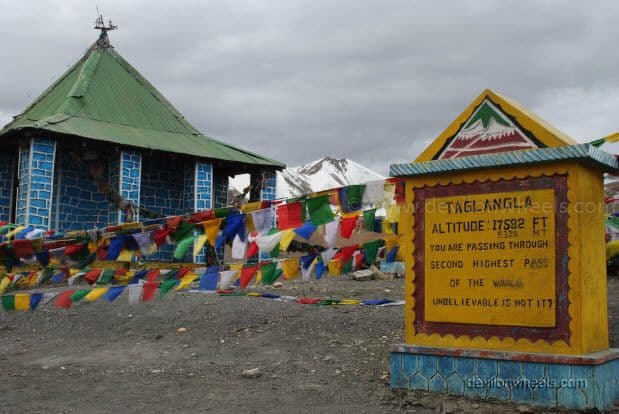 Lachulung La or Lachalung La or Lungalacha La is the second highest pass on the Manali – Leh Highway and fourth on the way from Manali to Leh road trip. Pang, is where you really start to see those unique looking soil formations on the mountains. The special and deserted colors of Ladakh will become more prominent just around Pang and onwards. Pang also has the world’s highest transit camps. At Pang, there are few tented accommodations in Dhabhas for a night stay and one can also enjoy food or beverages on their short stopover at Pang, evening tea may be. One of the Dhabhas also had attached bathroom. Pang is at a higher altitude than Sarchu which will account for headaches + mountain sickness and offers much lesser accommodation option too. Hence, it is always better to stay at Sarchu which offers the Swiss tents too unless you have some emergency. You may get some fuel or petrol in black in dhabhas at Pang in case of an emergency. Pang is an important place where you can find food and accommodation at least before Rumtse – Upshi, which does have very basic and limited guesthouses. If you are running late, then at Rumtse – Upshi as well you are likely to be unlucky on accommodation front. Hence, if you think you have gone late and don’t want to carry on till Leh in dark, I will suggest you stay at Pang only and thoroughly enjoy the rest of the colorful journey in next day’s daylight. It will be totally worth. Some of the dhabha have electricity arranged from transit camps or battery backups, so, you may charge your phone or camera here. Also, the army transit camp may have a phone to call back home in case of an emergency. In case of any medical emergency on Manali Leh Highway, you can get help at Pang army transit camp. Next place in this Manali Leh guide is one of the most interesting popular by the names More Plains or Moore plains or Morey plains. More plains are surprising, flat bedded plains amidst the highest of hills in the country. They run over a length of about 30-35 KMs. As soon as one reach at Moore Plains, the instincts force people to make their own roads 😥 but I request you not to do so because it damages the ecology of the place and disturbs the wildlife. So, please stay on that beautiful black top road. Fortunately, BRO has built a well-laid tarmac road on which you may hit 60 KMPH for the first time after long hrs of this drive on Manali Leh Highway. Hence, please avoid off-roading and preserve the ecosystem. Use this well-built road and enjoy the views at Moore Plains. You can make good progress on some lost time as well by staying on the road. Many of the wild animals live on the water sources present in Moore plains and running the car off the roads may damage those scarce sources. Many people try to do off-roading for show off and all sought of things with their vehicles, including the race with other fellow drivers. However, these jerks are unaware of the fact that along with risking the damage to the vehicle in loose soil or potholes in the middle of nowhere they are also disturbing the ecology of the place. So, I request at least you not to do so and respect the mother nature in every term so that it prosper more and more for our generations to come. At Debring, there are few wrecked shelters of road workers may be and some army camps too. Sometimes there you can find a makeshift dhabha too where you can stop for tea. Debring is the point where the diversion road to Tso Kar and Tso Moriri lakes connect at Leh Manali Highway. 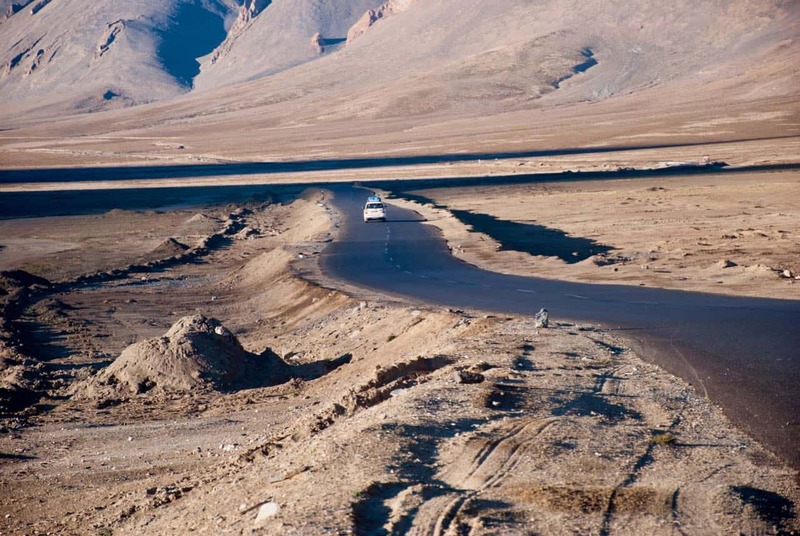 The road is a mix of good and bad all the way to Tso Moriri from Debring. However, you should not visit the Tso Moriri lake from Manali side as you will not be having the inner line permits to visit the lakes. If you are traveling from Manali to Leh by car, even if you arrange the permits through a travel agent it is not recommended that you attempt a stay at such high altitudes (Tso Moriri: 4595 Mtrs and Tso Kar: 4530 Mtrs) with improper acclimatization. Well, on your return journey from Leh to Manali, if you have plans to visit Tso Moriri and Tso Kar lakes then you can exit on Manali Leh Highway at Debring via this route. 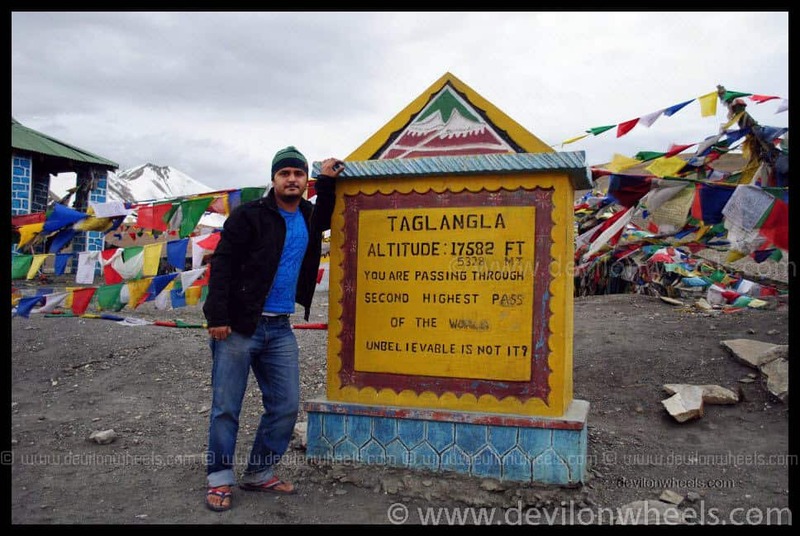 Taglang La is the last and the highest mountain pass on Manali – Leh Highway at a whopping altitude of 5328 Mtrs or 17582 feet. This pass is also the falsely claimed to be the second highest motorable pass or road in the world, after Khardung La (5602 Mtrs or 18380 feet) which is also falsely claimed as the highest motorable pass or road in the world. The winds at the Tanglang La pass are freezing cold and the force is such that it will blow you off the cliffs 🙂 … Sometimes, it’s even hard to stand on your ground even. Secondly, the oxygen level per breath decreases considerably and with almost nil vegetation most people suffer breathlessness at this pass. The raging pollution from trucks or oil tankers also accounts for the stoppage being brief, by most people. Don’t be surprised if your head may also spin many rounds at this place, especially when you travel to Ladakh via Manali side. The picture on the side of the signboard of one of the 15 highest motorable roads in the world, is a must for everyone visiting this Taglang La pass on Manali Leh Highway. You may not find food (sometimes a makeshift dhabha) and there is no place for accommodation at this place. As you descend from Taglang La, Rumste is the first settlement you will come across as you enter the Leh valley. It is situated alongside the Indus river and has some tea houses and home stays. The road conditions are in good shape at Rumtse. In fact, all the way from Pang to Leh, the road conditions are very good mostly on Manali Leh Highway. There will be a point when you will be driving just beside the Indus river and I tell you that you will feel ecstatic, forgetting all about the swaying headaches in the past 3-4 hours. Reaching Rumtse, you will start to breathe a bit better and so as your head will also feel slightly lighter due to the decrease in altitude. I started to feel that I have reached my dream destination i.e. Leh :). I am not aware or heard of any accommodation or food options which may be available at Rumste apart from some homestays if the villagers allow you to stay. Secondly, the drive to Leh from Rumste is almost like driving in plains and you can cover the remaining distance fast enough. Hence, after clicking the pictures of this small village or spending time beside Indus river, you better move ahead towards Leh and stay overnight. Upshi has the last police check-point where you need to register your name along with vehicle number in the records. This marks either your arrival in Leh town or marks the departure from Leh town in opposite direction. Upshi is a small village from where the right will take you to Hanle and Tso Moriri lake via Chumathang. It does have few homestays/guest houses with food but they are very basic. Few KMs ahead of Upshi, at Karu, you will finally find the second petrol pump of Manali Leh Highway. You should top up at Karu petrol pump when traveling from Leh to Tso Moriri to Manali without going back to Leh. But, you can ignore it if you are heading to Leh, where you can find the fuel as well. So, overall you can ignore Upshi and Karu and head straight to Leh even if gets late. Leh, the dream of reaching Ladakh is finally true and if you love this place then the excitement to reach Leh will refresh each of your body parts even after this 12 hours of an arduous journey on the Manali Leh Highway in a single day. It’s always better to spend a couple of nights at Leh for local Leh sightseeing and get a feel of culture, people, traditions, monasteries and magical aura of Leh – Ladakh. It will also help you acclimatize to further sightseeing places in Ladakh. Main market and Changspa road are two really happening places in Leh. So, if you like a lively environment then try to get a hotel in Leh as close to them as possible. Next day, along with local sightseeing you can also arrange the Inner Line Permits for other Ladakh destinations you are planning to visit in Leh – Ladakh. This complete the last place in this Manali Leh travel guide. I hope the above information in this Manali Leh road trip guide along with dedicated links will help you plan your travel to Manali – Leh Highway in the entirety and hasslefree. In case you wish to share your experience or have any suggestions or have any questions then please feel free to leave a comment below and I would be more than happy to respond to it within quick time. If you know your friends or family are planning a trip to Manali Leh Highway, do share this travel guide with them to help them make a memorable Ladakh trip. We are four of us from Chennai. We are driving on Zoom car from Delhi. 1. Is it possible to do Manali – Leh in a day’s time like start at 4 AM from Manali on 1st September 2018 and reach there by 9 PM. 2. 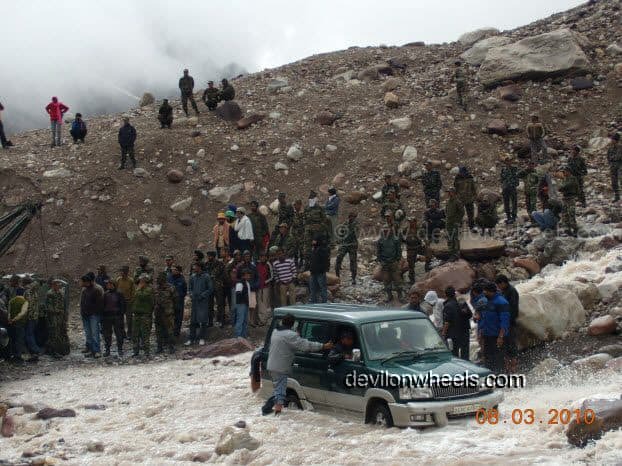 Similarly we plan to do Leh – Manali at 4 AM on 5th September and reach Manali by 8/9 PM same day. 3. Is the drivers list in Leh updated? We plan to do half day Leh local and then Diskit, Hunder, Turtuk, Pangong in 3 days 2nd Sept 2018 to 4th Sept 2018? 4. I ready in one of your posts that only BSNL postpaid SIM’s work enroute Manali to Leh, is that correct. We are from Chennai, TamilNadu, will a BSNL Postpaid SIM purchased here work there as well. 1. If you say possible, then yes, possible but tiring. 2. Again the answer will be possible but tiring. Shared taxis do all the time. We are a month away from our annual roadtrip. Revisiting Ladakh after three years (leave Manali early morning 6th September 2018 / leave Leh early morning on the 14th of September).Though I have done the Manali-Leh route thrice before will be very grateful for your ever valuable inputs. 1. Re the route: Do you think there is any particular stretch this year to be more concerned about ..for eg: the nalla after Zing Zing Bar / uphill climb to Tanglang-La ( at this time of the season) ? Planning to stay in Sarchu for the night halt both ways. Hope some tented accomodations will be open for the return journey. 2. As I had mentioned in my earlier email to you we are travelling to Turtuk after the Leh marathon. This time I have a Belgian nationality couple friend accompanying my wife and me.They have always wanted to visit Ladakh and do this epic roadtrip. They are bringing all their personal documents / insurance etc. I have already forwarded everything to my friends in Manali and Leh for necesssary permits etc. Do you feel there will be any issues anywhere en route or after Leh also because we are with foreign nationals ? Do we need to take any extra precautions / documentation other than those required? 3. Earlier trips were in my Scorpio. This time its a Fortuner AT. If I top up in Tandi would it see me through till Leh or would I have to still carry extra fuel ( tank capacity is @ 80L) ? Also planning on shifting whenever requires to manual mode especially on steep inclines ( would you agree?). 1. Not really, mostly water crossings will be tamed during that time period. 3. It should be able to make it to Leh with 80L tank full. At the outset thanks for sharing much information. Me along with other 3 friends planning for Manali – Leh – Srinagar trip this month end and planning not to join any club. We are planning to hire a bike at Manali, but exploring the web if we have options to leave the bike and Leh or Srinagar instead heading back to Manali again. And how do we obtain the permission to pass Rhotang Pass, I see ur blog where link is provided to again approvals but it requires the vehicle register number and other details. Also through another blog of u I learned Manali reg bikes are not allowed in Leh and surrounding site seeing places. Can we park our Manali hired vehicle in Leh and hire a vehicle in Leg, is it good option? Also it would be great if you can share ur contact number pls. Yes Pavan, you can park your manali bikes and rent the bikes again in Leh. Manali rental agencies provide a discount as well for those days. Once you have the bike, you can apply the permit too. One more question. Can you please clarify on this. 2. If yes, can you also let me know from where we can get them. Thank you very much for your effort in making us more comfortable in planning our Himalayas trip. We are 3 peaople starting our journey to Leh from Delhi on 29th June till 8th July. Below is the plan. First we will start our journey from Delhi to Manali by Bus on 29th June and reach Manali by 30th June. From Manali we will catch HPTDC bus to Leh on 1st July and reach Leh on 2nd July at 5PM(As scheduled). We will take rest for that day and the next day. Next 3 days (4th – 6th July) we will take bikes on rent and visit Pangong lake and Nubra valley with night stays at these places. 1. Are there any private shared taxis available from Leh to Manali, so that we can reach Manali by night of the same day (i.e. 7th July)instead of taking HPTDC bus which takes 2 days to reach Manali from Leh. How much they charge (approaximately)? We will make a day-time journey from Manali to Delhi on 8th July. This stretch is mainly because we have to catch flight from Delhi to Hyderabad at morning 8AM on 9th July. 2. Can we pitch our own tents at Pangong lake and Nubra valley? 3. Can we get bikes on rent for 3 continuous days in Leh? You must visit Nubra Valley first and then Pangong Tso and take at least one day rest in Leh before moving to these places so that body is acclimatized. 1. Private shared taxis doing Manali – Leh in a single day will be tough to find, local shared taxis will be present and common though. Overall the schedule is too tight and one day here and there could end up missing the flight for you. For the first question, you mean we can get the local taxis which can run from Leh to Manali using which we can reach Manali in one day. Am I right? Yes, there are local shared taxis that run per seat basis and used by locals to commute between Manali and Leh in a day. Majorly these are taxis from Manali that are going back to Manali for their next pickup because Manali taxis are only allowed for drop to Leh, so they drop their passengers as tourists and then they have to go back to Manali empty or in shared local taxi basis. Can you you please confirm the below point. Thank you for all the information you have provided in your articles. I have been reading many of them while we plan for our Ladakh trip this August. We were planning on flying from Delhi to Kullu then renting a self-drive car and drive to Leh. However, we do not have enough time to drive back from Leh on our return trip and wanted to fly back from Leh to Delhi. I haven’t found anything online yet but do you know if there are options for one-way self-drive rentals (from Kullu/Manali)? If car is not an option, do you know if we can rent a bike one-way? Please let me know and also let me know your suggestions. I do understand that we cannot drive the out of station rented car in Ladakh and that we would have to get a local taxi while in Leh. You are doing a great job by providing such useful information. We have done Spiti trip with the help of information provided by you couple years back. Now we (3 of our friends) are planning to visit Leh via Manali during June 30 – July 8. We are opting public transport Manali to Leh (and Leh to Manali) and planning to take bikes on rent to visit Khardung La, Nubra Valley, Pangong lake and few monasteries etc. 1. Can we get bikes on rent in Leh for 3 days to visit the places mentioned. 2. What is the best itinerary as we are opting for public transport. 3. Any other must visit places en route. Your response is very much appreciated and helpful for our trip. 1. With just 9 days in hand, it will be a really tiring journey on Manali – Leh Highway and Ladakh, will recommend to extend the trip. I will suggest that you refer the thread for more details on the route and night halts though it is of 9 days: Manali – Leh – Ladakh – Manali | Itinerary for 9 Days. 2. You can get bike on rent for 3 days in Manali for above mentioned places but highly recommended to extend the trip by at least one day. Thank you very much for the reply. It seems the link “Manali – Leh – Ladakh – Manali | Itinerary for 9 Days” has been broken. Are you referring to below details? can we plan for chandratal lake from manali on 25 may 2018 with 4 adult and 1 child 6-7 years. 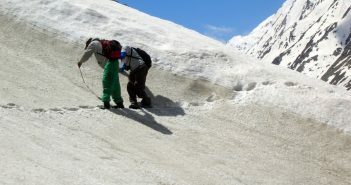 Rajesh, this year snow has been really less, I believe you should be able to make a trip by end of May to Chandratal. But, stay tuned for weather updates in the coming month. Pradeep, you can only come to Leh and exit out of Leh on outside rented car. You will have to do sightseeing within Ladakh on a local taxi. Praveen, do you want guidance on buying the snow chains for the bike? Thanks for the valuable information in your blog. We are again planning for Ladakh, but this time we will start from Manali. We are planning to start our journey from Manali to Jispa on Monday 11th June 2018. Is that time good for clear sky, or do we get rain in between our journey? Your response is much appreciated and helpful for our planning. Yes, Hrishikesh, 11th June the road from Manali – Leh will be open and you will find snowfilled views of Manali – Leh Highway. Thanks for your comment Dheeraj. However will you able to inform us about the weather of that time, clear sky or cloudy. I know prediction about mountain weather is nearest to impossible, but please inform us about the trends. It has already started snowing at high passes, cold has set in the high Himalayas. Skies usually are clear but occasional snowfall can always occur. Many thanks for providing all the information’s regarding ladakh trip. 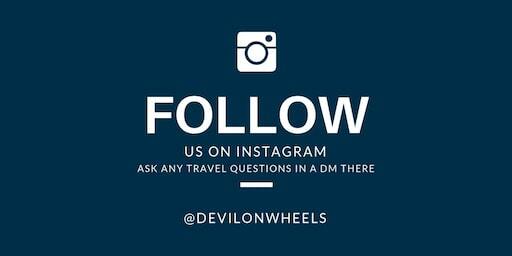 We planned our whole trip based on information on devilonwheels site and enjoyed the most with min. cost. We contacted Mr. Rigzin (driver) no. 1 in ur list of drivers for taxi service, he arranged taxi from Srinagar to leh ( 1 night stay in kargil ) and for leh sightseen, nubra valley and pangong visit. We were lucky to have Mr. Rigzin as driver from leh to khargungla, he is awesome driver, he jokes, he sings, he is a genuine heart person. He guides us the timing we shud leave nubra to reach pangong via leh as the direct route was closed due to landslide so we dnt miss our pangong stay. Again I want to thank you Mr. Dheeraj and Mr. Rigzin for making our trip memorable and unforgettable. Note: Kargil War Memorial (KWM) will be closed for visitors with effect from 22 to 26 July for maintenance purpose. Hope the above information helps others to plan their trip in case they dnt want to miss KWM. Thank you for your valuable information. Please share your valuable info on the below queries. 1. How is the situation now with rented bike communication from Manali to Leh. We have already rented bkes from manali prior to this bike association issue that happened last week, which led to restrict manali rented bike to cross Sarchu. 2. Is there any local bus services available to go Sarchu from Manali in Day-1 and to go Leh from Sarchu on Day-2. I have inquired about HRTC buses, but they go till Keylong and next day from Keylong to Sarchu. 1. Renting bikes from Manali may not be the best thing now as Ladakh bike rental union has banned them to even enter. Best is to avoid renting them and rent bikes only in Leh. 2. You cannot do from Sarchu, you have to use local transport from Manali to Keylong and then Keylong to Leh. 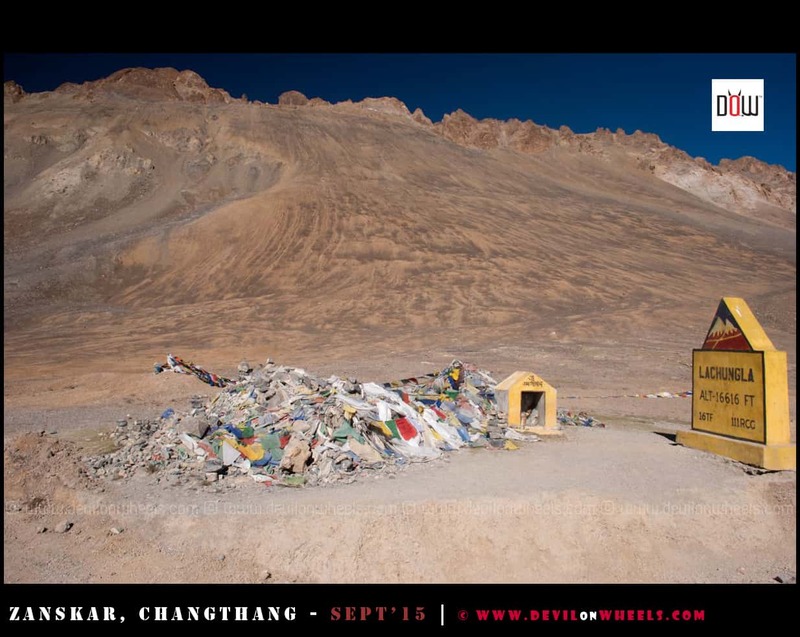 Once you reach Leh, then rent the bikes. Sarchu is nothing but some camps pitched for overnight stay. There is no civilization or village there. Darcha will be the last village on the way to Leh from Manali side and then directly comes Rumtse after crossing Taglang la. Will hiring a bike from chandigarh solve the purpose ?? I mean, can i drive chandigarh bike till Leh ?? No Nitin, there will be similar issues I believe midst all this tension. Best is to avoid taking an rented bike to Ladakh and hire/rent bike in Leh itself. I will be hitting Manali Leh highway on 12th June. I am coming from Delhi with my family by car. Can you suggest me list of essential things I should carry.